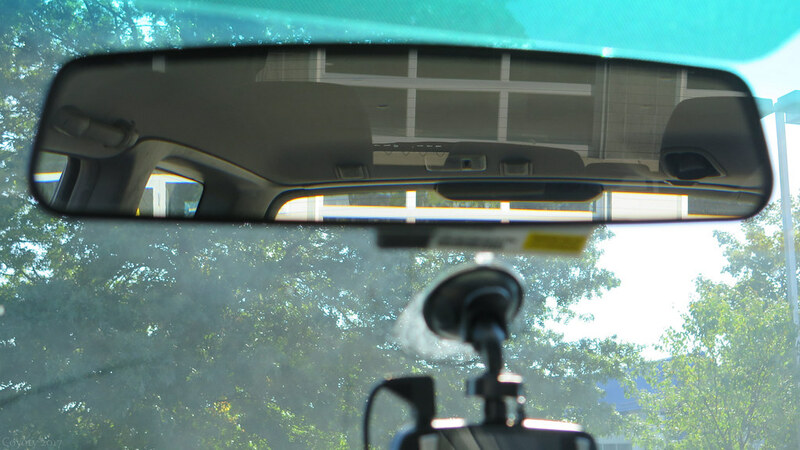 Rear view mirrors are really two mirrors in one. Unlike regular mirrors, the glass is a wedge with two reflecting surfaces. There's the normal-looking silvered surface at the back, and the anti-glare surface on the front that reduces light. You flip it when the lights of cars behind you are too bright. You can see both reflections in this photo. A bonus effect that is worth experimenting with is the clarity of the mirror in contrast with the bokeh of the rest of the image around it, which can be used to enhance the depth of a photo.